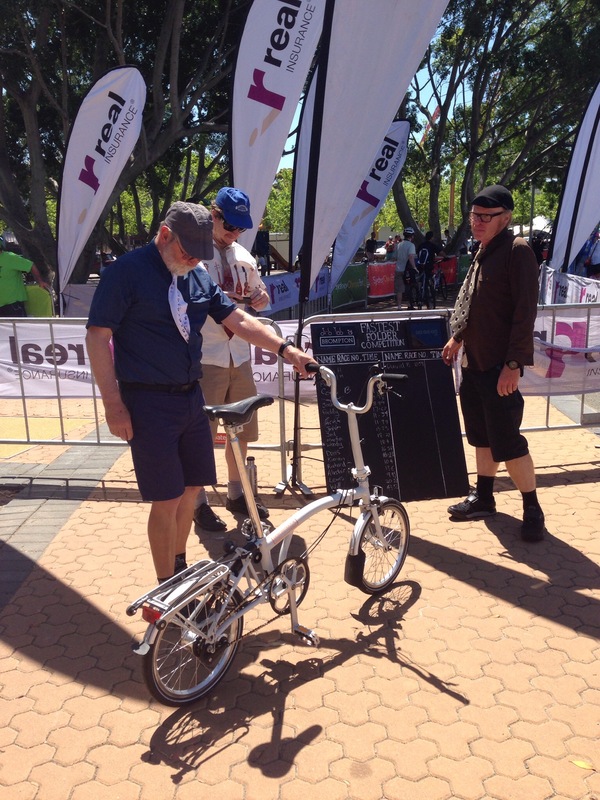 Another of the fun events of the Brompton Australian Championships is the Folding Competition, held after the BAC race. 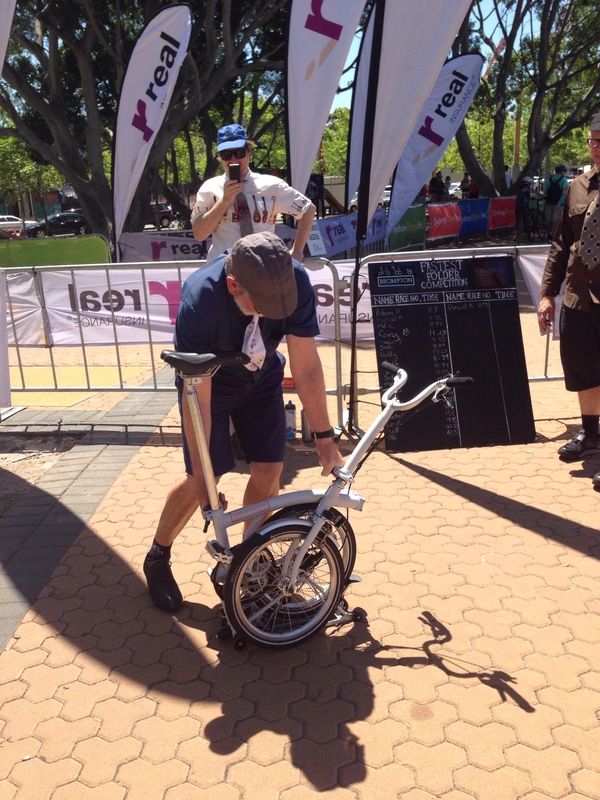 The challenge is to be the fastest to complete the fold of a Brompton; in our case a white demo M3L. 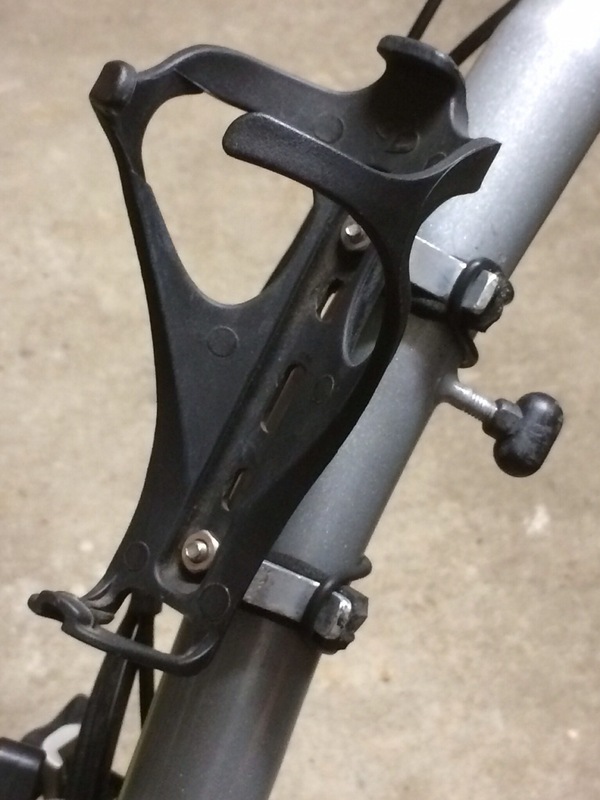 Some hot times amongst the initial competitors & seeing the standard folding pedal to be part of the fold (something I’ve always fumbled in my limited exposures – all my bikes use MKS removable pedals) had me heading back to chatting with BAC attendants. 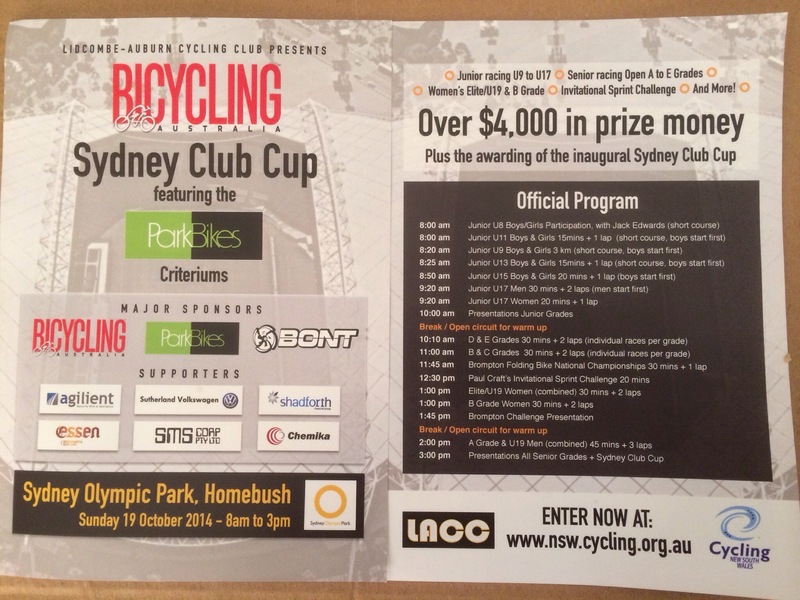 Later, I mistakenly strolled too close to the competition area & Adam from Cheeky Transport suggested I should participate. My excuse about the pedal was to no avail & Adam gave me a quick tutorial. 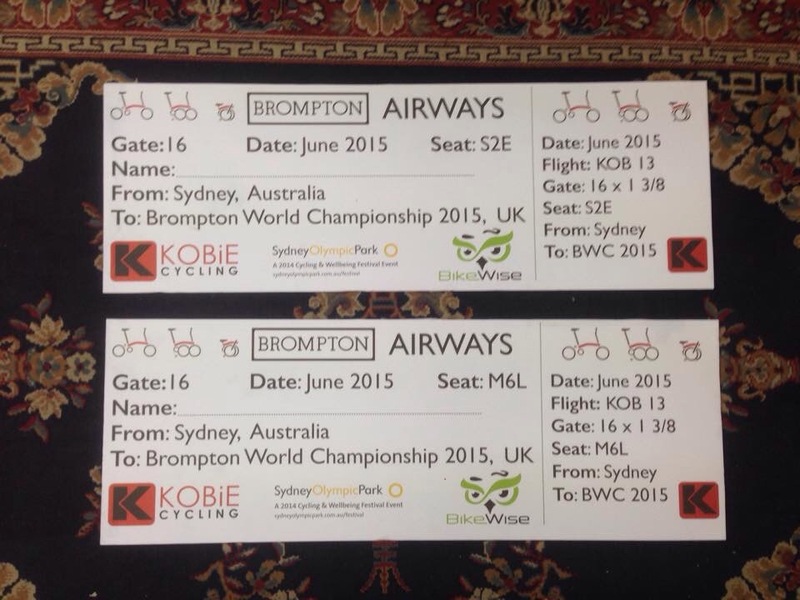 So, there I was: beside the unfolded bike & with the count-down starting. 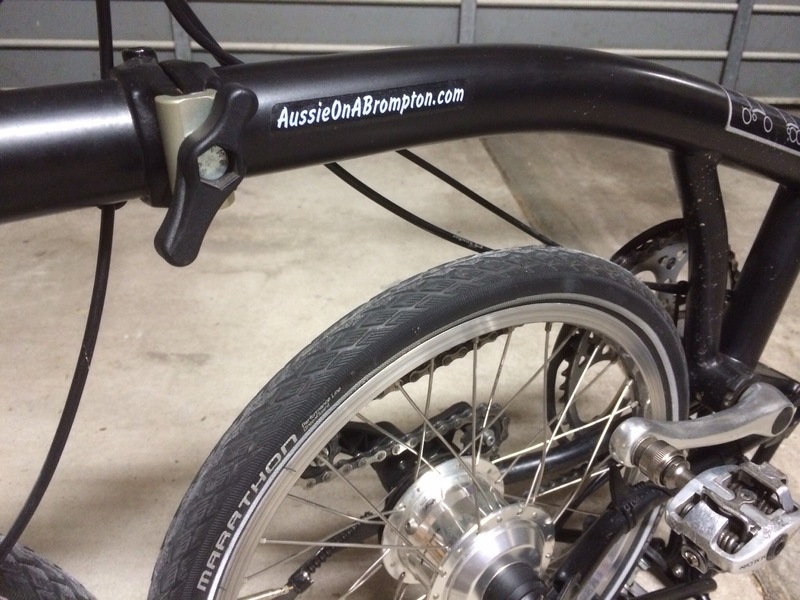 “How hard can it be?” came to mind (again) & I was off… Funny how a Brompton other than your own can feel “different”? With the M handlebar positioning feeling strange, in parking the bike I neeaarrly jammed the front mudguard between the wheels! Next I lifted the stem slightly & started undoing the mainframe hinge clamp. Wow, I forgot how my long-term use of Brompfication hinge clamps & springs eased the process. Here, I was noticing the extra turns of the hinge clamp bolts & the lack of spring pressure helping to open the hinge. A bit clumsy but I had the front wheel folded & mentally preparing for my next phase: flipping the stem/handlebar down while dropping the seat! Easy-peasy? Whoa! Disaster! I couldn’t undo the hinge clamp! Dunno if it was sabotage but with the previous competitor unfolding the bike after their folding attempt, they’d done up the clamp “very firmly”! Precious seconds ticking away & I persisted; finally getting it undone once realising I needed to use far more effort. 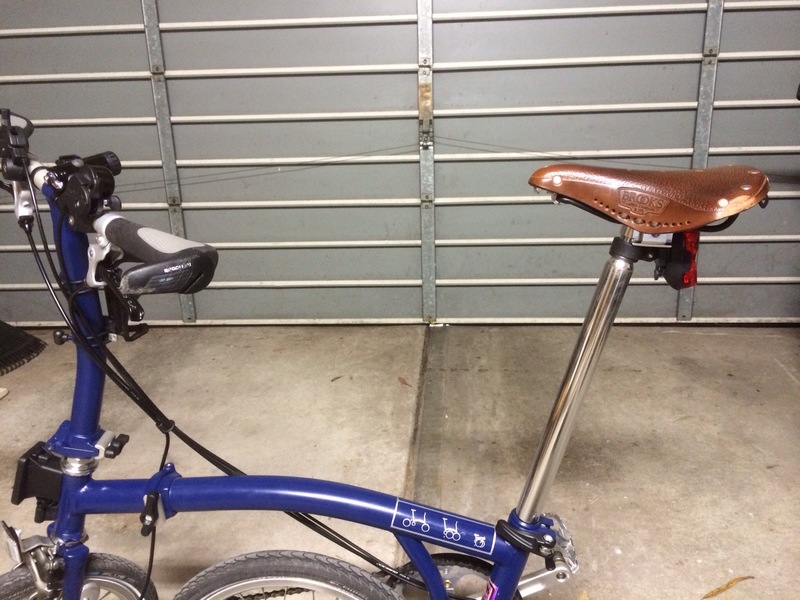 Another clumsy undoing of the clamp bolt & the seat down I was ready to face my nemesis: the pedal fold! Ooh, quite good really, I was surprised! The initial appraisal needed confirmation with a specialist & today he arranged CT scans which showed the sorry state of a “mushed head”, with a piece requiring relocation & pinning! 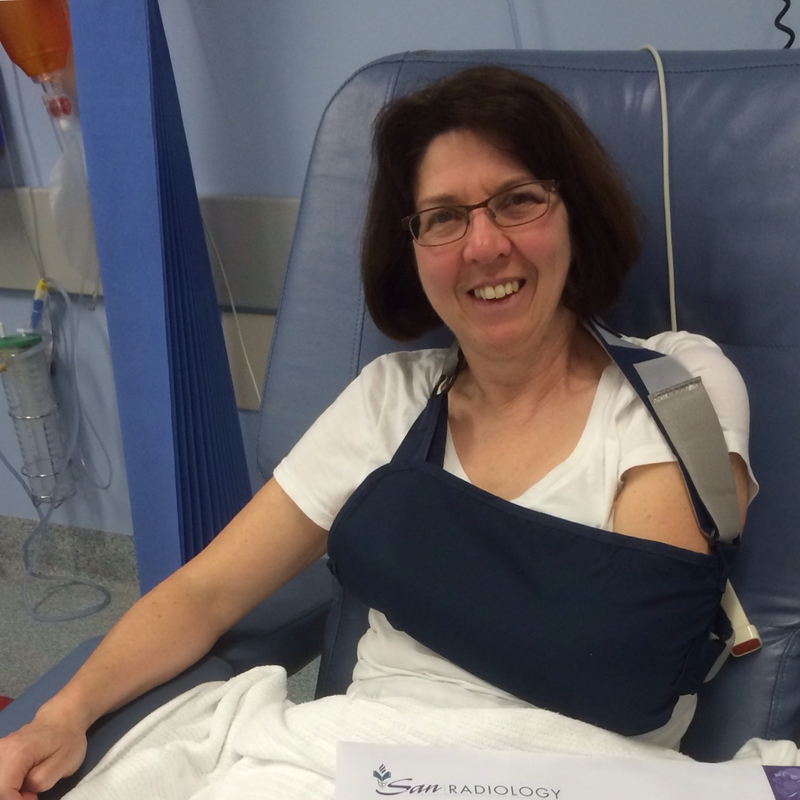 The specialist will be operating on Wednesday & so Peregrine will be “taking a break” for a while? 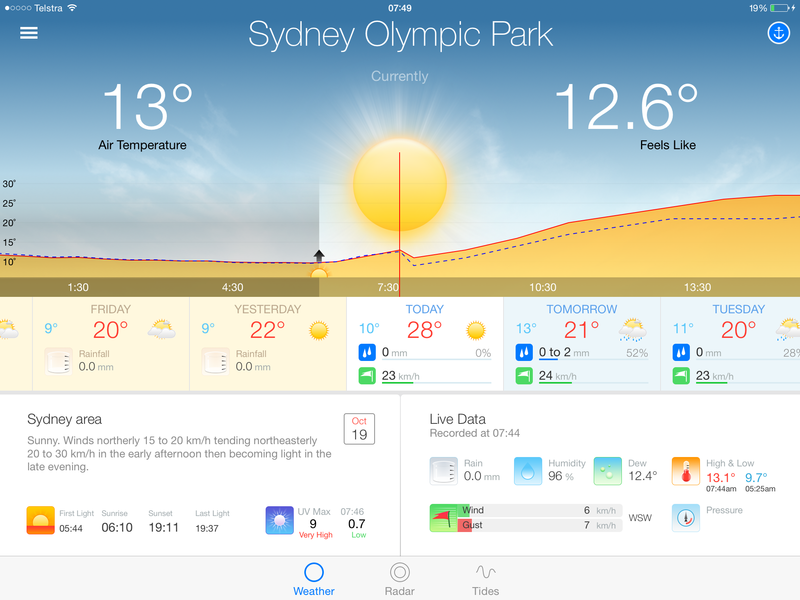 “Lovely day for a ride, let’s get down to Sydney Olympic Park”. Maximum temperature of 28° & should be about 22° for our little ride? Woohoo! Better get a move on! 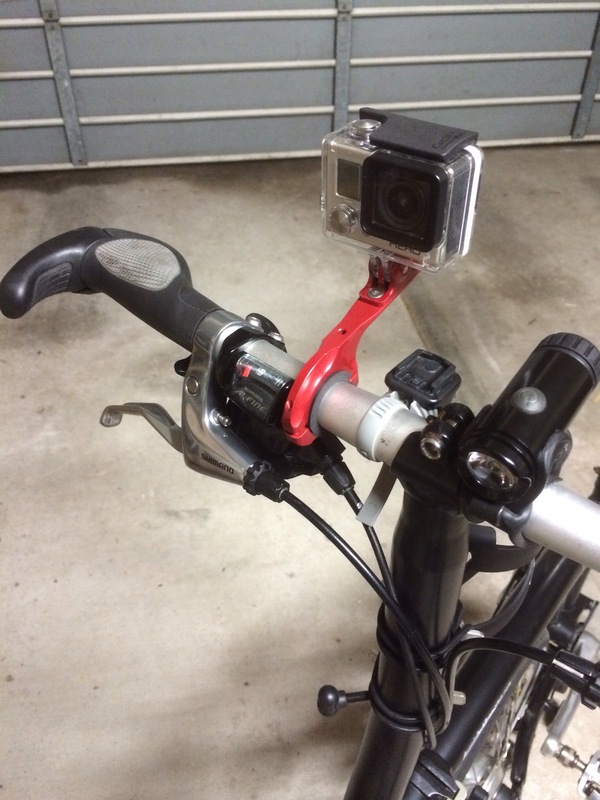 …& the GoPro has got a K-Edge adapter (to replace the fragile GoPro adapter) ready for the pavé on the race course? As for our Sunday outfits, yes everything is to hand – bring it on! Training? Mrs Aussie has been quite diligent. Me? Hmm… does Lawn Bowling count? Hopefully I won’t get in the way when being regularly lapped? My interim solution before Brompton introduce their magnetic water bottle system*, is heading towards its second birthday. It’s given excellent service & still (in my opinion) betters any bidon carrier for Bromptons that I’ve observed. 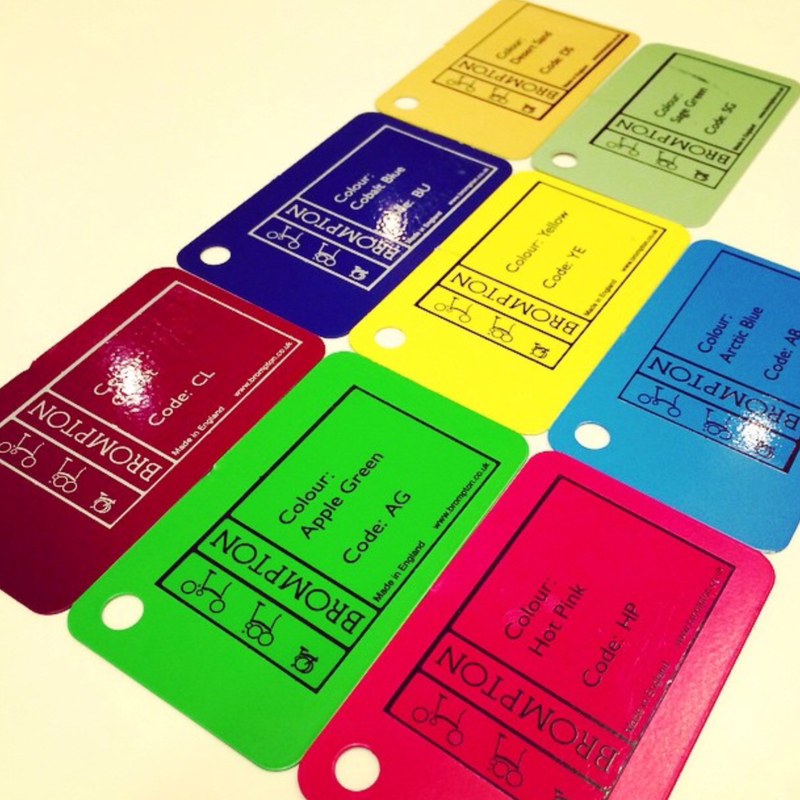 Being an assumed temporary system, I’ve been surprised at its effectiveness & durability. So, the release info of something is in the pipeline? None the wiser but just as curious? 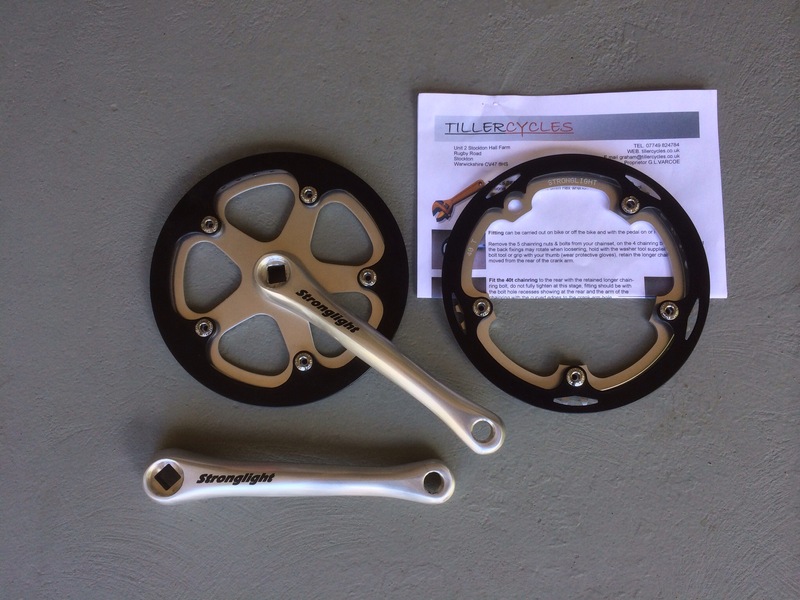 A parts delivery arrived from TillerCycles recently, even though I’m still not entirely sure what I’ll be doing with them. 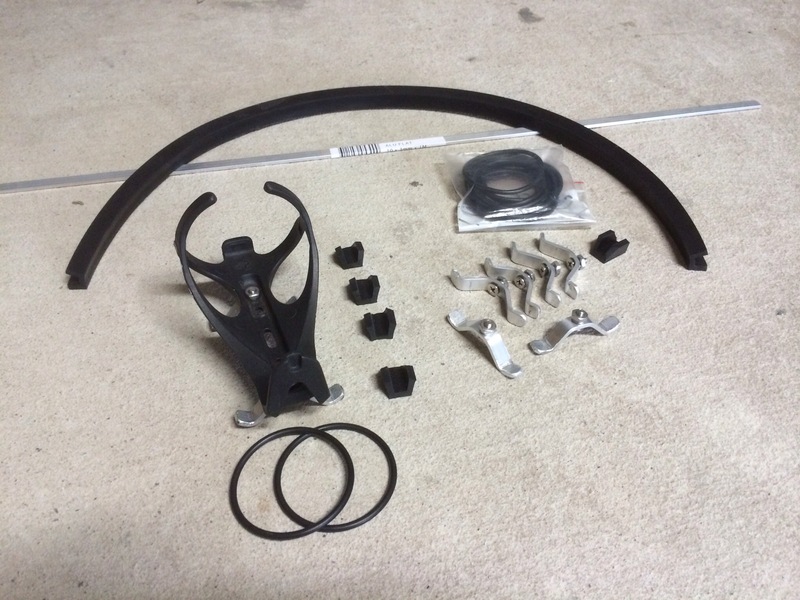 The items are a 40 tooth crankset to suit the one-piece crank Bromptons & a 40T crankring for the latest “spider” crank model (both with chainguards). Both Robinson & Ralph use the old model crankset; currently 44T with a 6-speed setup for Robinson & 50T for Ralph’s Alfine 11-speed hub. My desire is to lower the gearing range for Ralph & so now I’ll have to decide whether to use the 40T or whether to swap Robinson’s 44T into Ralph & use the 40T in Robinson – some work with a hub gear calculator coming up & then probably some testing?